Home » When and How Should I Take Phentermine? We’ll be explaining everything you need to know about the answer to that question with our step-by-step guide; including how to take phentermine, when to take phentermine, and what to avoid when using phentermine. It’s important that you realize not everyone is a suitable candidate for using phentermine. First and foremost, pregnant women should avoid using phentermine as it may harm their unborn child. Also avoid using phentermine if you are breastfeeding a child, as it could be passed into the breast milk and harm the nursing baby. Phentermine should be avoided by those with a history of high blood pressure, heart disease, glaucoma, overactive thyroid, pulmonary hypertension, or have a history of substance abuse. Anyone that has taken an MAO inhibitor – such as linezolid, tranylcypromine, or isocarboxazid – in the past 14 days should avoid using phentermine too. This is because it could trigger a potentially dangerous drug interaction. Lastly, the drug should not be used by those who are allergic to phentermine or have shown an allergic reaction to other diet pills, stimulants, cold medications, and amphetamines. After arriving at your appointment to be assessed as a candidate for phentermine, be sure to discuss these problems with your doctor if you have them; high blood pressure, kidney disease, diabetes, an aspirin allergy, or a thyroid disorder. It’s also vital that you disclose your entire medical history, even the things that you feel are going to be unrelated. Your doctor needs all the information they can get in order to make the right decision about whether you are likely to negatively respond to taking phentermine. They do this for your safety above all else, so don’t get in the way of them doing their job and keeping you safe. If, after an assessment, your doctor decides you are indeed a suitable candidate for phentermine prescription, they should give you clear instructions on when and how to take the prescription. Generally, it is best to take phentermine at the start of the day and on an empty stomach. There are certain brands of the drug that should be taken between 30 – 60 minutes before eating breakfast, and there are some that should be taken within 2 hours of eating your first meal of the day. Instructions may vary between the different brands of phentermine pills but, again, your doctor should explain everything you need to know to you. If you are on a smaller phentermine dose (or actually splitting tablets), you could have to take a phentermine dose three times a day. Just keep in mind that you can split your dose up like this if you want, but you must never exceed the maximum daily dose of 37.5mg. Given all of the different variations when it comes to taking phentermine, you should always take the appetite suppressant exactly how your doctor prescribes, and follow all of the directions listed on the label of your prescription. Phentermine does have stimulating effects and, as such, can cause a state of insomnia. This is why it should be taken early in the morning and should never be taken after 6 PM. If you do take phentermine at night, you will almost definitely have trouble sleeping. With that said, if you are on a different working schedule – such as if you work evenings or late shifts – then you might want to adjust the times that you take phentermine. Be sure to discuss your unique schedule with your doctor should you have one. That way they can come up with a phentermine schedule that works around you and your needs. If you happen to miss a phentermine dose, then take it as soon as you remember. However, if you remember at a time close to when you’ll be taking your next dose, it’s much better to skip the first missed dose. Keep in mind that you should NEVER take more of a medication to make up for a lost dose. That includes phentermine. Phentermine is available in different forms, so there are different methods for taking it. It is offered in capsule, tablet, and ODT (orally disintegrating/dissolving tablet) forms. Phentermine is available in doses between 8 and 37.5mg to be taken 1 – 3 times daily. We’ll give you an example of the different choices. There’s Adipex-P, which is prescribed as a 37.5mg tablet or capsule to be taken once per day, and Lomaira which is an 8mg tablet to be taken three times a day. There’s also Spurenza, which is an ODT to be taken once a day. 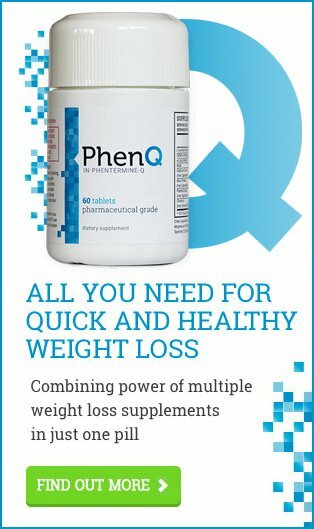 The dosage of phentermine you need will be decided on by your doctor, who will consider your own unique needs and requirements. You should never take a larger or smaller dose of phentermine than prescribed. You should never take it more or fewer times than prescribed, and for a longer period than prescribed. Always be sure to consult your doctor if you feel that the medication isn’t working properly and you want to change the dose. Just taking more phentermine than has been recommended for you could cause potentially serious and life-threatening side effects. The most common side effects of taking phentermine are dry mouth, hyperactivity and restlessness, changes in taste, diarrhea, insomnia, headaches, constipation, dizziness and nausea, and more. However, should you feel that the dose you are on is too strong, or you suffer from a more severe side effect, be sure to contact your doctor as soon as possible. Also be sure that you don’t suddenly stop taking phentermine, as you may experience nasty withdrawal symptoms. Talk to your doctor about how to safely stop using phentermine if you decide that you want to stop taking it before the prescription period runs out. Drinking alcohol is known to increase the likelihood and severity of certain side effects, so be sure to avoid drinking when taking phentermine. Taking phentermine has also been shown to impair thinking and reactions, so you should be careful when driving, operating heavy machinery, or doing anything else that requires alertness when taking the drug. The first few days of taking phentermine can be the worst, so it’s advised that you monitor how you are feeling in order to assess how the medication has affected you, if at all. If you are uncertain about being able to do something, then talk to your doctor and get their advice on the matter. You should talk to your doctor about the other medications and supplements you are taking during your initial consultation, even if they aren’t on a prescription. Many medications and supplements can interact with phentermine, potentially causing it to become less effective or potentially more dangerous. Your doctor might recommend that you take extra supplements and vitamins while taking phentermine, but if they don’t you should always check with them before picking up and trying extra products on your own. You must also tell your doctor about the medications that you start or stop taking while taking phentermine, in particular, any antidepressants. If you want to make the most of your phentermine prescription and ensure that it is as effective as it can possibly be, it’s also good to reduce your intake of foods and drinks that increase the acidity of urine. Experiments and studies have shown that, when compared to alkaline pH urine, acidic pH urine causes phentermine to be excreted up to twice as fast. Put simply, it’s far less effective. The unhealthy acidifying foods and drinks you want to avoid are coffee, soda, alcohol, butter, and ice cream. The main thing that we want to stress is if you haven’t picked up on it by now, to follow your doctor’s instructions. Phentermine is a prescribed medication after all, and so it should be treated like one. It’s also important that you are honest with your doctor during the consultation. That way they have all the information they need about you and your medical history to properly treat you. If you’ve got any questions or concerns about phentermine, then you should always bring them up with your doctor. It’s better for you as it keeps you informed, and it’s better for them because it improves the level of care they can provide you and their future patients. We hope you are now more confident about phentermine and knowing how to take it. If you’ve got any feedback or questions though, then please don’t hesitate to leave a comment!